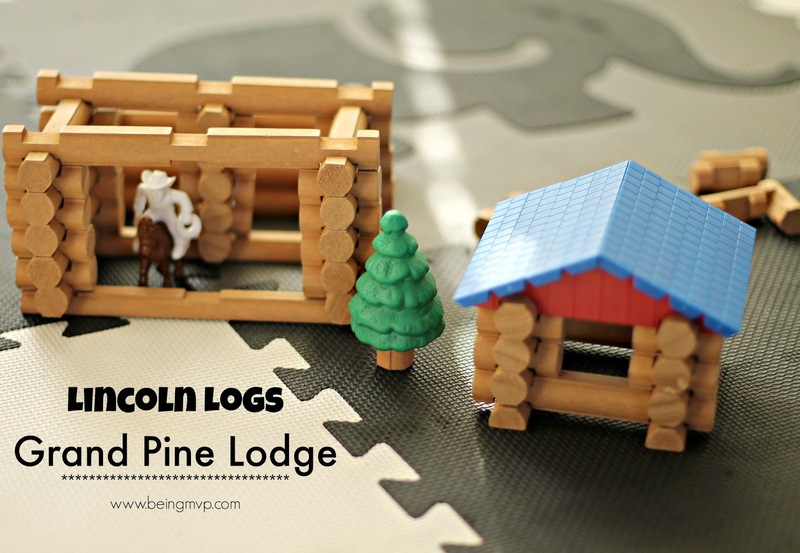 Disclosure: I received the Lincoln Logs Grand Pine Lodge for review. All opinions are my own. It's awesome finding toys that Hubs and I played with when we were kids still in production for our kids to play with. Whether it be in original form or an updated version, it's still rad. One of the nostalgic toys of Hubs' youth is Lincoln Logs. This is a classic construction toy with real wood logs! The pieces have individual grooves make stacking a breeze. Kenzie and Mason both each easily stacked away. The creations are not limited to those that are included with the instructions. Kenzie was building beds for her babies as well as little huts. It will be nice to get additional sets for more building fun. Check out the Kenzie building with the Grand Pine Lodge! Build a lodge with attached stable! Grand Pine Lodge includes real wood logs plus colorful figures and play accessories, including a Cowboy Figure and Horse! This classic Lincoln Logs® set comes with building instructions and is packed in a handy storage container for quick and easy clean-up. For ages 3+. One winner will receive a Lincoln Logs Grand Pine Lodge! I really like the Lincoln Logs Redwood Junction set, too! I love the TinkerToys too! I like the Pac's Pac World Maze Building Set! I also really like the C & B Xtreme Ops Mission: Arctic Quest building set. Awesome! 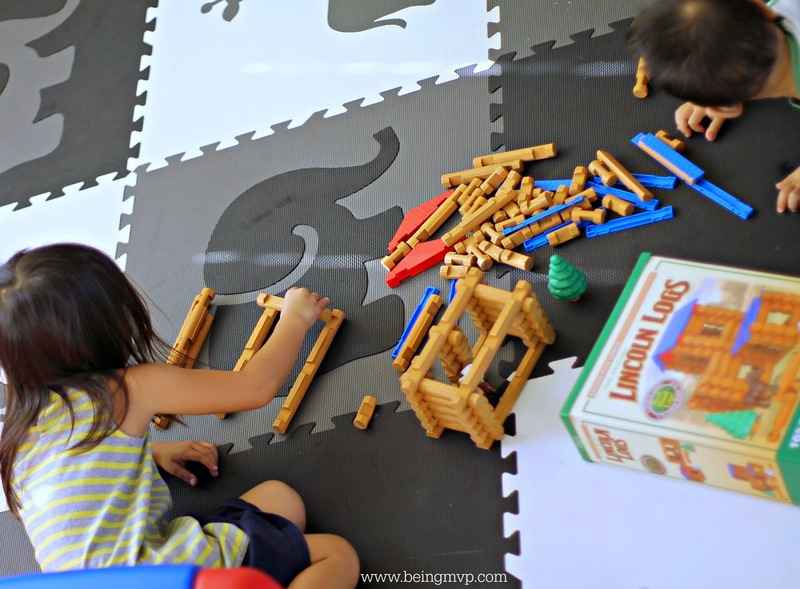 I noticed that the Lincoln Logs look so different then the ones I had when I was little back in the 1950s. The roof slats were green and they didn't come with tress or horses etc. I also like the Exploring Wind and Water Energy. I would also like the Super Tink Building Set from Tinkertoys. I love the Redwood Junction Set. My daughter has a train set that she loves. I like the Tinker Toys 100 Piece Essentials Value Set.